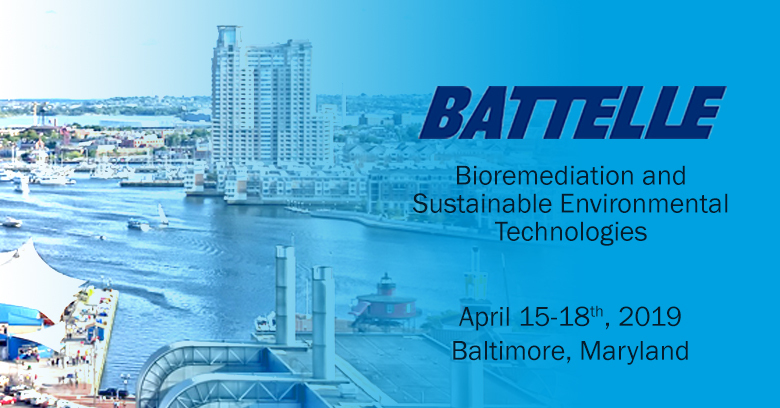 Jeff Roberts and Sandra Dworatzek will present at the Battelle International Symposium on Bioremediation and Sustainable Environmental Technologies at the Hilton Baltimore Inner Harbor in Maryland on April 15-18, 2019. Jeff and Sandra will be on hand at the SiREM booth (#321) to discuss our products and services for assessment, remediation and monitoring and to answer questions about enhanced bioremediation processes. Jeff is Operations Manager at SiREM with extensive technical experience in the laboratory assessment and field implementation of soil, sediment and groundwater remediation technologies at sites containing contaminants including chlorinated solvents, petroleum hydrocarbons and other recalcitrant compounds. Sandra is a Senior Manager at SiREM, provideing technical oversight of laboratory treatability studies and the development and scaleup of bioaugmentation cultures, including novel cultures for anaerobic benzene and aerobic 1,4-dioxane bioremediation. For consultation regarding bioremediation, contact Jeff Roberts at JRoberts@Siremlab.com or Sandra Dworatzek at SDworatzek@SiremLab.com.